Jon beats Ramsay almost to death, but stops after seeing Sansa and realizing Ramsay is not his to kill. The Bolton banners on Winterfell are torn down and Stark banners raised in their place. 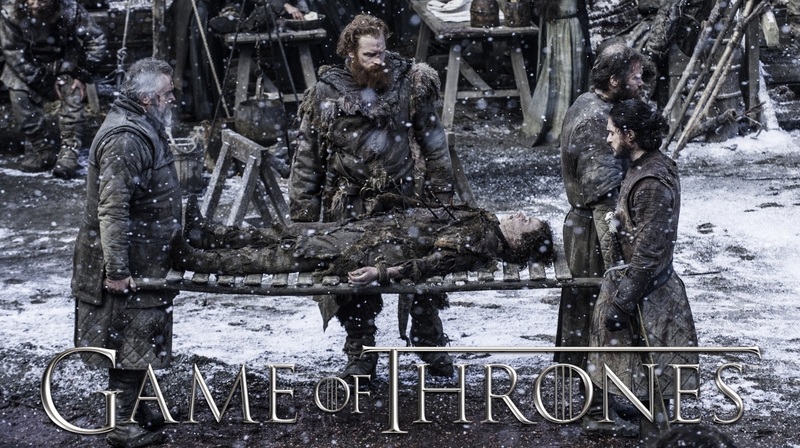 Jon orders for Rickon’s body to be buried next to their father’s in the crypts of Winterfell as Sansa asks him where he is keeping Ramsay prisoner.